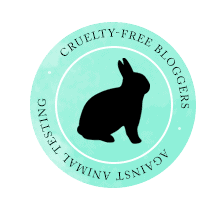 I've been testing out some awesome cruelty free products this past month, and I'm pretty excited to share since these products hit some of my favorite categories. If you're following me on instagram you may have seen me unbox an amazing box of Scentbird goodies. Scentbird scent me (lol) an amazing array of candles and skincare products. I've put a candle in every room. My current favorite is the cucumber and lotus scent. I love that each jar has an adorable saying on the back. I've been burning this particular candle quite frequently and it's pretty slow burning, it has a 40 hour burn time to be exact. The scent isn't over powering, and is very fresh. Best part about these candles is that they are made with soy wax and are paraben, sulfate and cruelty free! You can purchase these candles as part of a subscription service, or individually. I also received Scentbird's best selling coconut & sugar scrub. I love beachy scents and this scrub gives me some serious summer vibes. I love using this prior to shaving my legs, and fake tanning. The sugar scrub is a bit less harsh then scrubs I've used in the past, vitamins E and C leave my skin feeling nourished and not stripped. I was saving these Lit Cosmetics kits for a special occasion and I finally experimented with these during Saint Patrick's Day weekend. Last Saturday I attended the NYC Saint Patrick's Day Parade, I wore my usual winged liner but topped my lids with Lit Cosemetic's Hot Chocolate glitter, and ABH Lucky Clover highlighter. It was gorgeously sparkly, and I loved that it wasn't the typical green eyeshadow look. The Sunday after I was attending a local event with friends, so I toned it down a bit and also experimented with how controlled I could be with a glitter pigment. I flicked a line of gold glitter underneath my black winged liner. I love this stuff! I can be as controlled and precise as I like, it's easy to apply with just a simple two step process-- and now I want to wear glitter everywhere! I've also been testing out a new fake tanner. Fake Bake is a name I recognize as the OG self tanner, so I was elated to receive one of their new formulation the Flawless Coconut Tanning Serum for Face and Body. Again I loveeee coconut scents so this was a dream to use. This formula feels luxurious on the skin, containing skin nourishing amino acids and hyaluronic acid. This applied like a dream, I've been using it all this month and haven't had any issues with streaking. Fake Bake recommends applying with gloves, and I used gloves on the first two tries, on the 3rd I went back to my tanning mitt. So I would recommend using whichever you're more comfortable with. The beauty of using gloves is that you aren't losing any product that would otherwise be absorbed into the mitt. 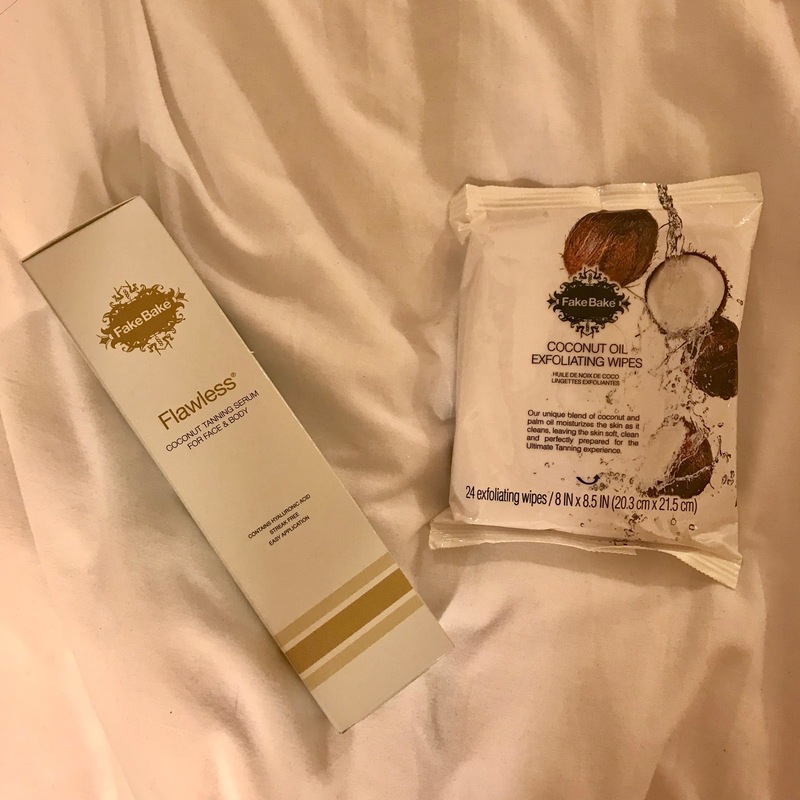 I also tested out Fake Bake's coconut exfoliating wipes. I've never used a product like this before and was really pleased with how easy this made exfoliating areas that tend to be hard to reach (such as my upper back) when using a liquid exfoliating product.